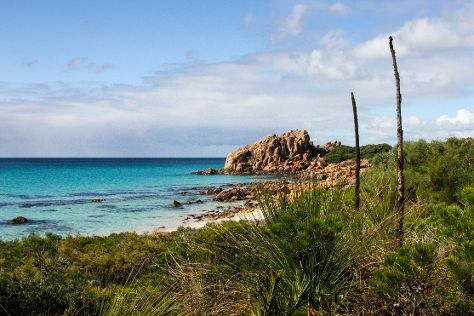 Step out of the city life by going to Meelup Beach and Hamelin Bay. Satisfy your inner culture vulture at Wise Wine and Cape Leeuwin Lighthouse. Explore the numerous day-trip ideas around Margaret River: Jewel Cave (in Augusta) and Yallingup (Canal Rocks & Ngilgi Cave). There's lots more to do: Head underground at Mammoth Cave, enjoy the sand and surf at Cowaramup Bay, learn about winemaking at Howard Park - Margaret River Winery and Cellar Door, and tour the pleasant surroundings at Surfers Point. For other places to visit, photos, traveler tips, and other tourist information, read Margaret River trip itinerary planner. Manchester, UK to Margaret River is an approximately 28-hour combination of flight and bus. You can also do a combination of train, flight, and bus; or do a combination of train, flight, and bus. You'll lose 8 hours traveling from Manchester to Margaret River due to the time zone difference. Finish up your sightseeing early on the 14th (Tue) so you can go by car to Albany. Satisfy your inner culture vulture at Forest Hill Vineyard and The Church of Saint John the Evangelist. Explore hidden gems such as Anvil Beach and Little Beach. 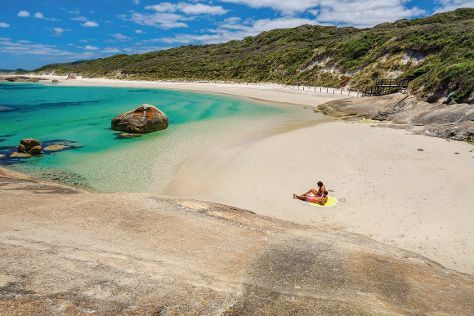 Explore the numerous day-trip ideas around Albany: Greens Pool (in Denmark), Cosy Corner Beach (in Kronkup) and Lowlands Beach (in Lowlands). There's still lots to do: stroll through Nanarup Beach, examine the collection at National Anzac Centre, explore the striking landscape at The Gap and Natural Bridge, and enjoy the sand and surf at Betty's Beach. To find ratings, traveler tips, where to stay, and more tourist information, read Albany itinerary planning tool . Getting from Margaret River to Albany by car takes about 4.5 hours. Other options: take a bus; or do a combination of bus and flight. In January, plan for daily highs up to 29°C, and evening lows to 16°C. Finish up your sightseeing early on the 17th (Fri) so you can go by car to Esperance. Esperance is a town in the Goldfields-Esperance region of Western Australia, on the Southern Ocean coastline approximately 720km east-southeast of the state capital, Perth. Step out of the city life by going to Lucky Bay and Cape Le Grand National Park. You'll get in some beach time at Thistle Cove and Ten Mile Lagoon. There's still lots to do: kick back and relax at Blue Haven Beach and stroll through Salmon Beach. To see ratings, other places to visit, and other tourist information, go to the Esperance travel planner . Traveling by car from Albany to Esperance takes 5 hours. Alternatively, you can fly; or take a bus. In January in Esperance, expect temperatures between 32°C during the day and 17°C at night. Wrap up your sightseeing on the 20th (Mon) to allow time to travel to Hobart. Discover out-of-the-way places like Hobart Convict Penitentiary and Cascade Brewery. You'll enjoy a bit of beach vacationing at Opossum Bay Beach and Nutgrove Beach. 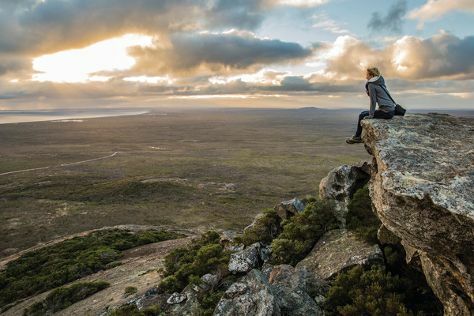 Venture out of the city with trips to Bonorong Wildlife Sanctuary (in Brighton) and Shene Tasmania (in Pontville). Next up on the itinerary: get curious at Tasmanian Museum and Art Gallery, enjoy the sand and surf at Bellerive Beach, contemplate the long history of Claremont House, and appreciate the extensive heritage of Battery Point Sculpture Trail. For maps, other places to visit, ratings, and other tourist information, refer to the Hobart road trip website . You can fly from Esperance to Hobart in 10 hours. Other options are to do a combination of car and flight; or do a combination of bus and flight. Traveling from Esperance to Hobart, you'll lose 2 hours due to the time zone difference. Expect slightly colder weather when traveling from Esperance in January: highs in Hobart hover around 26°C, while lows dip to 14°C. Wrap up your sightseeing on the 23rd (Thu) to allow time to drive to Coles Bay. Gala Estate Vineyard and Spring Vale Wines are good opportunities to explore the local culture. Your itinerary includes some good beach time at Spiky Beach Conservation Area and Coles Bay Jetty. Change things up with these side-trips from Coles Bay: East Coast Natureworld (in Bicheno) and Raspins Beach (in Orford). There's much more to do: get up close to creatures of the deep with a dolphin and whale watching tour, walk along Wineglass Bay Lookout, and surround yourself with nature on a nature and wildlife tour. To see photos, where to stay, reviews, and more tourist information, read Coles Bay sightseeing planner . Traveling by car from Hobart to Coles Bay takes 2.5 hours. Alternatively, you can do a combination of bus and taxi. Wrap up your sightseeing on the 26th (Sun) to allow time to travel to Sydney. Get a sense of the local culture at The Rocks and Australian National Maritime Museum. Take a break from the city and head to Manly Beach and Clovelly Beach. There's still lots to do: catch a live performance at Sydney Opera House, take in the views from Sydney Harbour Bridge, appreciate the history behind Mrs Macquarie's Chair, and kick back and relax at Bondi Beach. To find ratings, reviews, traveler tips, and tourist information, refer to the Sydney journey planner . You can do a combination of bus and flight from Coles Bay to Sydney in 8.5 hours. Another option is to do a combination of car, bus, ferry, and train. 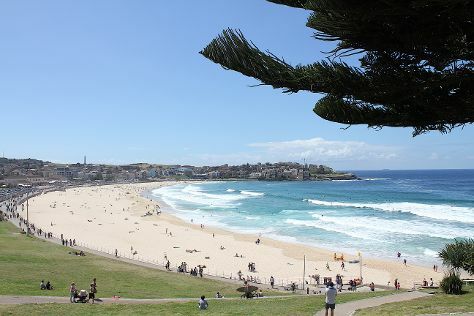 In January in Sydney, expect temperatures between 32°C during the day and 23°C at night. Wrap up your sightseeing on the 29th (Wed) to allow time to travel back home.